Mayor Ras J. Baraka alongside Deputy Mayors Rahaman Muhammad and Baye Adofo-Wilson gather with local unions and former NBA-Champion, Shaquille O’Neal, announce an innovative jobs program called 'IMPACT Newark '. The IMPACT Newark program aims to increase minorities, women and veterans participation in unions, while also increasing their access to construction jobs. We will transform the lives of Newark residents, empowering them with skills that enable them to gain financial independence and a share in the American dream. Mayor Ras J. Baraka alongside Deputy Mayors Rahaman Muhammad and Baye Adofo-Wilson gather with local unions and former NBA-Champion, Shaquille O’Neal, announce an innovative jobs program called 'IMPACT Newark '. The IMPACT Newark program aims to increase minorities, women and veterans participation in unions, while also increasing their access to construction jobs. IMPACT Newark will prepare residents for union entrance exams, identify pre-apprenticeship opportunities and help to secure apprenticeship positions in the plumbing, carpentry and laborer unions. The hope is that IMPACT first-round participants, identified at today's news conference, will secure union jobs and work on O’Neal’s 'One Rector Street' building. One Rector Street, developed in partnership with O'Neal and New Brunswick, NJ-based Boraie Development, a partnership which gave Newark its renovated movie theater with 3-D capabilities, CityPlex12, is a $65 million redevelopment project that will bring the city its first high-rise in over 50 years. Goldman Sachs is the primary lender on both projects. To become eligible to work as an apprentice on a union construction job, one must pass aptitude and drug tests, as well as have a valid driver’s license. These requirements often eliminate many applicants; however, the goal of the IMPACT program is to train and encourage applicants to stay on course to completion. “Project IMPACT is a unifying force for the community, one that brings civic and community leaders together with the local unions to prepare city residents for good-paying jobs that can improve their quality of life,” said Deputy Mayor Rahaman Muhammad of the Department of Job Creation, Workforce development, Affirmative Action and Re-Entry. The 23-story, 169-unit apartment tower with retail space on the ground floor is the first high-rise built in the city since 1960. It is adjacent to the renowned New Jersey Performing Arts Center and directly next door to the Center for Arts Education. 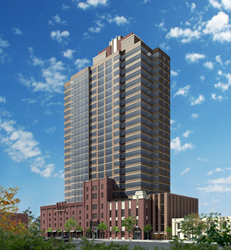 The tower would provide additional momentum for what many consider the epicenter of the city's revitalization hopes. "It is important for this administration and for the city to provide more than simply housing and jobs." said Deputy Mayor Baye Adofo-Wilson, Department of Economic & Housing Development. "We want to ensure that we’re providing a diversity of options where people can work, live and play." Growing up in the 1970s, O'Neal credits the local Boys and Girls Club and the nearby movie theater for keeping him off the streets. 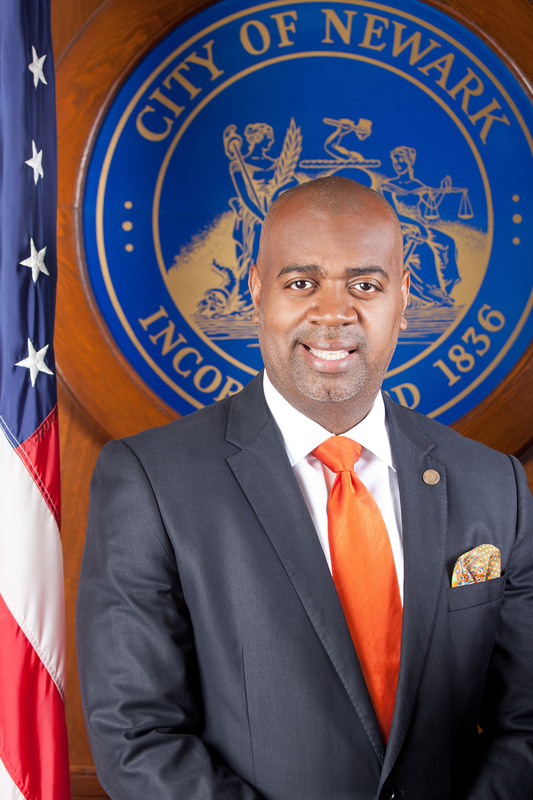 His participation in Newark's development is one way he gives back to the city of his youth. “I was born and raised in Newark. In some ways I never left Newark. This project is a symbol of my love of the city that shaped who I am today,” said the former NBA-champion and entrepreneur, Shaquille O’Neal.